I discovered ‘Homecoming’ by Bernhard Schlink a few years back during one of my random browsing sessions at the bookstore. Schlink was more famous for his book ‘The Reader’ which was made into a movie of the same name and which won Kate Winslet her first Oscar. 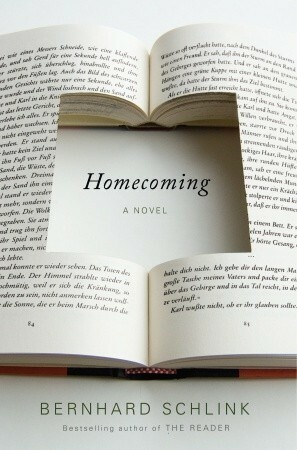 ‘Homecoming’ appealed to me because of its bookish cover and the plot. 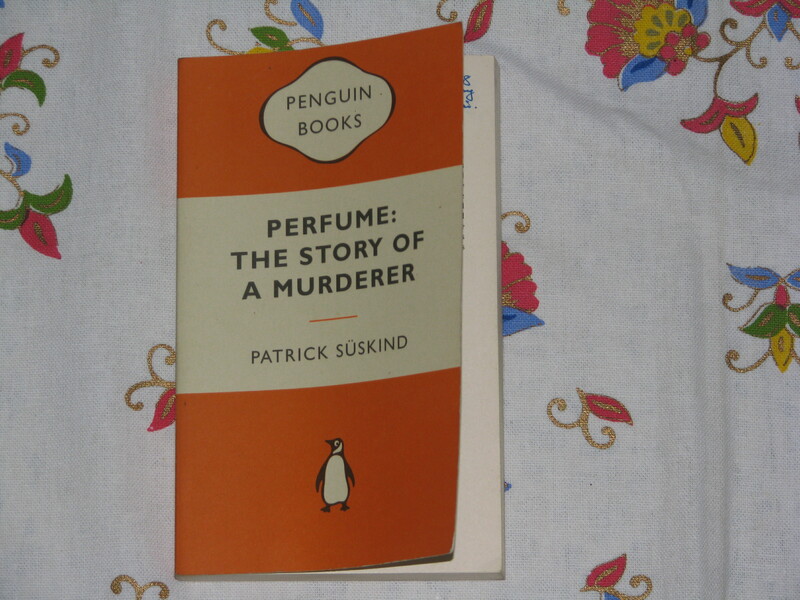 I thought I will read it for German Literature Month. It was gripping from the first page to the last. I finished reading it today. Here is what I think. ‘Homecoming’ is the story of a boy, Peter Debauer, who discovers a few pages in his grandparents’ home which have the story of the homecoming of a German soldier who escaped a Russian POW camp after the Second World War. But, unfortunately, the ending of the story is missing and the boy is not able to find it even after searching for it in his grandparents’ home. In later years, after the boy has grown up, he doesn’t forget this story and later in adult life, he resumes his search for the story ending. He discovers that the house described in the book resembles a real house and starts his investigation there. He also wants to know more about his mysterious father, who is supposedly killed in the Second World War and about whom his mother is silent. He goes on a quest to find the story ending and the secret behind the disappearance of his own father. The shocking secrets that Peter discovers and how the two story arcs come together form the rest of the book. I loved ‘Homecoming’. I loved it first for its bookish cover. I also loved it for the pleasant font and the font spacing. The generous font spacing made me read faster than usual and I couldn’t believe the rollicking pace at which the story moved. I am not able to tell whether this was because of the font and the spacing or whether it was because the story was fast-paced. Despite the rollicking pace, the story didn’t shy away from complex ideas, like the distinction and deep connection between good and evil, the deconstruction of law and the complex nature of love. Bernhard Schlink also doesn’t write those page long sentences which German writers are fond of, but writes shorter sentences, though some of them are a few lines long. (I don’t know whether this was truly the case, or whether it was because the translator did it that way. Sometimes, in a translated work of literature, we don’t know how much of the translation owes to the original writer and how much to the translator.) I think this must have also contributed to the fast pace of the book. When I was young, I spent the summer holidays with my grandparents in Switzerland. My mother would take me to the station and put me on the train, and when I was lucky I could stay put and arrive six hours later at the platform where Grandfather would be waiting for me. When I was less lucky, I had to change trains at the border. Once I took the wrong train and sat there in tears until a friendly conductor dried them and after a few stations put me on another train, entrusting me to another conductor, who then in similar fashion handed me on to the next, so that I was transported to my goal by a whole relay of conductors. the book gripped me till the end. I liked the description of the narrator’s time with his grandparents during summer, how rural Switzerland looked like, how his grandparents loved literature and poetry and history and how the narrator fell in love for the first time. Schlink paints precise, interesting portraits of different characters in the book and I liked that aspect of the novel very much. For example, here is a description of Peter’s grandparents. I don’t know whether it was a happy marriage; I didn’t even know whether it makes sense to speak of the happiness of their marriage or whether they ever thought about it. They lived a life together, took the good with the bad, respected each other, relied on each other. I never once saw them have a serious argument, though they often teased and even poked fun at each other. They took pleasure in being together and showing themselves together, he the dignified personage he had become in his old age, she the beautiful woman she had remained. She would have been a good doctor : she was precise, she had a good eye for what mattered and what did not, and she kept on top of things. What she lacked in warmth, she would have made up for in vigilance and commitment : her patients might not have liked her, but they would certainly have felt they were in good hands. Sometimes I brought all the ingredients and cooked. My mother did not like to cook and was not good at it : I was raised on bread, cold cuts, and warmed-up canned foods. Seldom did I see her so happy and gay, so girlish, as when I was at work at the stove and she was doing some unimportant task for me or was simply on her first glass of champagne. My mother was good at making me feel guilty. It was the way she brought me up to be good in school, to do my house and garden chores, to deliver my magazines on time, and to see to the needs of my friends. The privilege of getting an education, living in a nice house with a nice garden, having the money to pay for necessities (let along extras), enjoying the company of friends and of a loving mother – all this had to be earned; moreover, it had to be earned with a smile : my mother had solved the conflict between duty and desire by decreeing that I was to desire to do my duty. The relationship between single mothers and only sons has a bit of the married couple to it. This does not make it a happy one : it can be just as loveless and aggressive, just as much of a power struggle as a marriage. As in marriage, though in its own way, there is no third party or parties – no father, no siblings – to drain off the tension that inevitably arises in so intimate an association. The tension does not truly dissipate until the son leaves the mother, and often the dissipation takes the form of a nonrelationship much like that of a divorced couple. It may also turn into a lively, intimate, tension-free relationship, and after years of going through the motions with my mother – seldom making trouble and always a bit bored – I was looking forward to our week together as a promise of better things to come. I thought of the daily nap I took during the first few summers I spent with my grandparents. If it was warm enough, I could take it on the balcony, and when it rained they covered me with a blanket, just as Barbara had described. How could I have forgotten? Had she wanted me to, I would have taken her every night to a movie or play or concert or to see friends. But it wasn’t staying home that I enjoyed; it was the routine of love. When Peter’s and Barbara’s relationship went through ups and downs, I, alternatively, rejoiced and panicked. My heart went through a rollercoaster ride and I dreaded what will happen in the end, because I really liked both of them and wanted them to end up together and happy. Schlink kept me in tenterhooks till the end, before I could discover whether they ended up happy. The story is structured like Homer’s epic ‘The Odyssey’ – both the story that Peter reads and his own quest for the ending of that story and the secret behind his father’s disappearance. One of the things I noticed in the story was the way time lapses. Sometimes a day or an hour is described in many pages. Sometimes whole years and decades lapse, in a few lines, in the blink of an eye. At one point of time, the narrator has passed out of university and is working with a publisher. He is having problems in his love life and his quest for the secrets he is searching for is not getting anywhere. At that point, I thought he must be in his late twenties. Then suddenly the narrator says that he is forty-five! I didn’t see that the years have passed by in a blink. I saw the whole story in a different light, then. History is clearly in no hurry. It respect daily activities like work, shopping, cooking, and eating; it understands that bureaucratic processes, sporting events, and get-togethers with family and friends must go on. Presumably the same rules applied to the French Revolution : it is all very well to storm the Bastille on July 14, but on July 15 the cobbler must return to his last, the tailor to his needle; they must make up for lost time. After a morning at the guillotine, back to nailing and sewing. What is there to do all day at a Bastille already stormed? Or a Wall already scaled? I learned that deconstruction is the separation of a text from what the author meant it to say and its transformation into what the reader makes of it; I learned that it went even further to reject the notion of reality in favor of the texts we write and read about reality…As far as I could make out, if texts are not about what the author meant to say but what the reader makes of them, then the reader, not the author, is responsible for the text; if reality is not the world out there but the text we write and read about it, then the responsibility for murder falls on neither the real murderers nor their victims – they having lost their existence – but on their contemporaries who lodge the complaints and prosecute the plaintiffs. I made a list of stories, poems and books which were mentioned in the book, which I want to read. The list has the following. 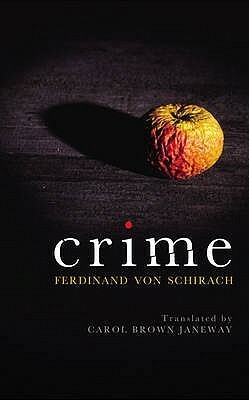 Have you read this book or any other books by Bernhard Schlink? What do you think of them?